The best care is multidisciplinary care—care that runs across specialties and disciplines. At Hackensack University Medical Center, you will be connected with the medical expertise and services you need. Our surgeons work closely with other disciplines including medical oncology, radiation oncology, pulmonology, gastroenterology, interventional radiology, pathology, and anesthesiology to provide you with comprehensive care. We are dedicated to the multidisciplinary approach because it provides the best patient outcomes. There is often more than one way to treat lung, esophageal, or other thoracic malignancies, depending on the individual and his or her disease. Our affiliation with The John Theurer Cancer Center allows us to provide the most current and state-of-the-art treatment options for every patient who comes to us with a diagnosis of cancer. Nabil Pierre Rizk, M.D., M.S., M.P.H. Dr. Rizk is board certified in Thoracic Surgery and General Surgery. He completed his medical school at the Yale University School of Medicine, and his surgical training at the Hospital of the University of Pennsylvania, Brigham and Women’s Hospital at Harvard, Memorial Sloan-Kettering, and New York Hospital-Cornell. He has been chief of the thoracic service at Hackensack Meridian since September 2015. 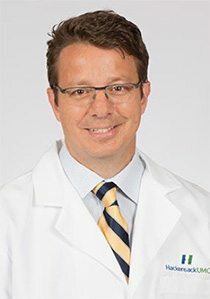 Prior to this, he was on staff at MSKCC since 2004, with a very busy clinical practice and many academic interests including numerous publications and clinical trials. Nazly M. Shariati, M.D., M.S.J., F.A.C.S., F.C.C.P. Dr. Shariati is board certified in Thoracic Surgery and General Surgery. She completed her medical school at the University of Cincinnati, and her surgical training at Morristown Hospital, Montefiore Medical Center, and at the University of Pittsburgh Medical Center. She joined the HUMC team in late 2013. Prior to that, she was the surgical chief of lung transplantation and chief of thoracic surgery at Barnabas Health System (Newark Beth Israel). She has been in clinical practice since 2002. 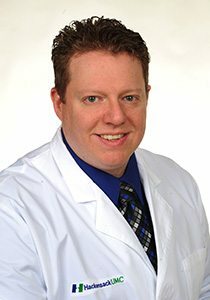 Dr. Pelz is board certified in Thoracic Surgery and General Surgery. He completed medical school at Saint Louis University School of Medicine and his surgical training at Allegheny General Hospital in Pittsburgh, PA and Mt. Sinai Hospital in New York City. He joined the staff at Hackensack University Medical Center in 2013.